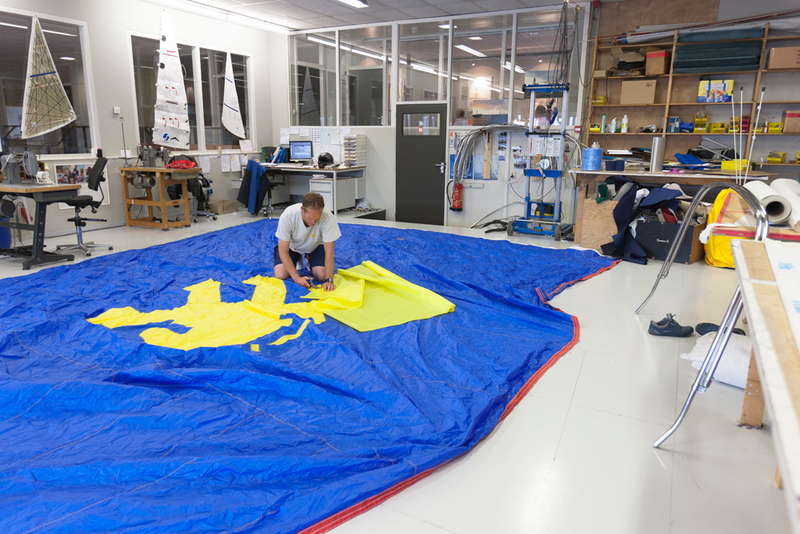 Skips Sails is Jachthaven Hindeloopen’s high quality in-house sailmaking service. 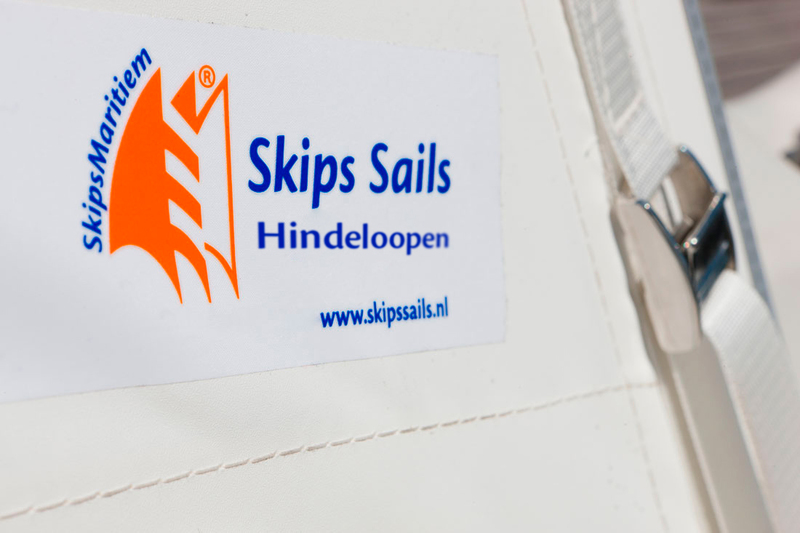 Skips Sails is the designated dealer of the renowned UK-De Vries Sails and SailSelect sails, and is specialised in the manufacture of hoods and canvas products. What makes Skips Sails unique? Our specialists have a ready solution for the most diverse queries. We carry all repairs out at our main base. Besides that we are able to offer more services, such as realising winter tents, a key element of our operations. You can also come to us if your sails and hoods need to be cleaned. As you can see, your entire rigging is in experienced hands with us. From the smallest part to a complex project: we are able to take care of it for you. Sailing is a spice with many tastes: from a trip over the lake, going from harbour to harbour in Zeeland, along the coast, or across the IJsselmeer, darting over the mudflats, a crossing over to England or beyond, to taking part in a short sailing race in the evening and many more. Skips Sails has just the right sails to navigate all of these cruising areas. Sailors are individualists, and no two sailors are the same, which is why we supply all manner of sails made to measure. We come on board your boat and measure up the rigging. Using these details, our suppliers will draw up a perfect sail plan to match your sailing region and ambitions. As passionate cruising enthusiasts and competitive sailors, we will be able to realise the best selection of sails with and for you. 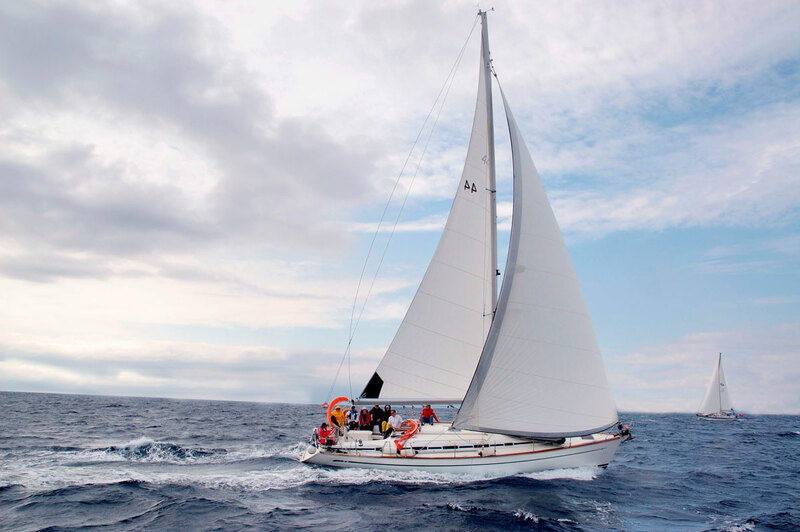 Whether it’s cruising or competitive sailing, our aim is to make swift, reliable, quality sails that are durable and will give you a lot of sailing pleasure. Skips Sails has an extremely solid reputation in the field of spray hoods, biminis and canvas. A model to match your yacht, created with a keen eye for detail and perfectly finished. Compare our products with those of other sailmakers, and you will notice the ways in which our sailmakers stand out. We are one of the few sailmakers who fold in the front seams for instance. THis is a big advantage on a fabric hood, because the fabric doesn’t fray, as the seam will remain neat and tight, even after washing. Both our locations (Flevo Marina and Jachthaven Hindeloopen) make spray hoods, tarpaulins and covers. For additional information, get in touch directly with the branch that is closest to your home port. 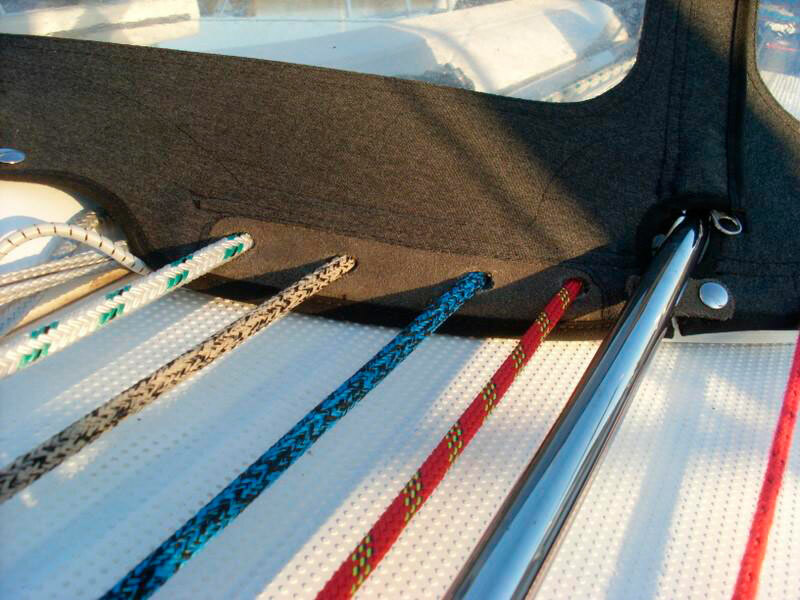 Skips Sails handles the entire rigging for small as well as larger yachts. 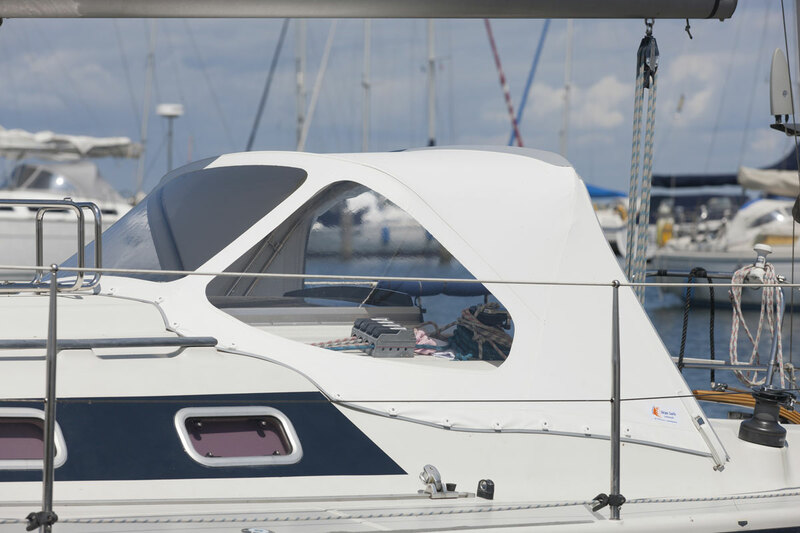 We supply and install masts, booms and headsail reefing systems made by renowned brands. Know-how, good advice, the best materials and the most modern equipment are all components of SOLID rigging. For the supply and maintenance of forestay profiles from for instance Furlex, Profurl and Facnor, we’re your one-stop shop. We also stock the replacement parts for various Furlex types and supply new masts by Seldén, Master masts, Neutmast and Sparcraft. At Skips Sails, you are at the right place for trimming your mast. Our riggers will look at your deck layout and are keen to exchange views on how the operation of the sails can be made any easier. In addition, you can also come to us if you are in need of steel wire. 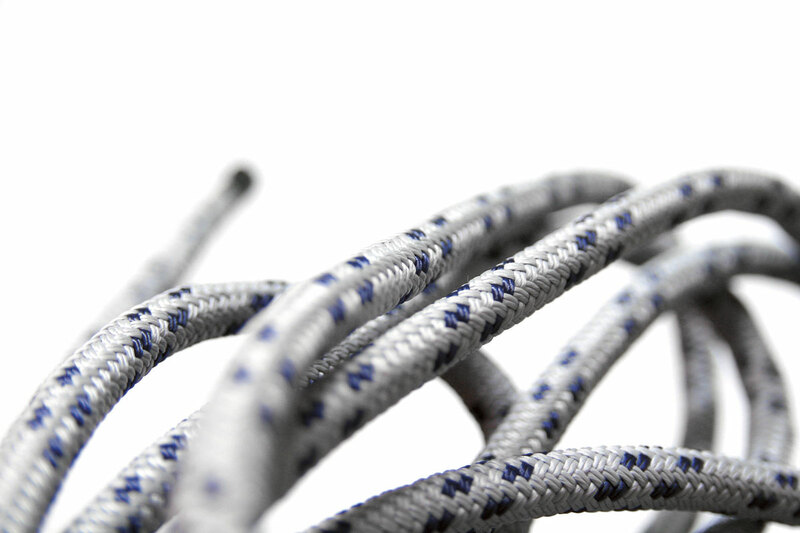 We offer tailor-made steel wire for your ship and swage terminals on new stays up to 12 mm. Corderie Henri Lancelin in France makes lines both for boats and the industry. Skips Sails has been designated as the exclusive dealership on the eastern side of the IJssel and Markermeer lakes for cordage by Lancelin since January 2016. We opted for Lancelin due to its excellent quality and high degree of innovation. Lancelin, the importer, and ourselves, operate using a unique colour scheme for halyards and sheets. Each line on board for instance has a base colour, which makes it easily recognisable. But Lancelin also offers a wealth of options for lines with a specific colour combination. Our riggers are happy to tailor new lines for you, and provide them with a good strong splice. You can utilise this high calibre cordage for halyards, clews, trimlines and mooring lines. If you have any further questions, or wish to request a tailored quote, then contact one of our specialists at Skips Sails Hindeloopen. In addition to our Jachthaven Hindeloopen location, we also have a branch at Flevo Marina.